Great opportunity for well maintained, well equiiped 2502 Walkaround Trophy. She has low hours, (100), always flushed after every use, always dry stored. 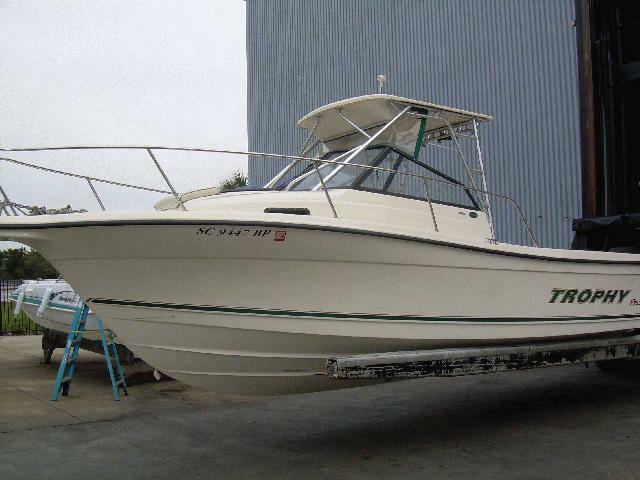 Notable features include hardtop with complete enclosure, Twin Mercury 150EFI's, Garmin Fishfinder, VHF, stereo, marine head w/holding tank, huge cockpit and great fishing capabilities!